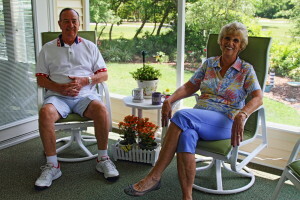 There is a gated community in Ormond Beach, Florida, that has long been a magnet for retirees who want to live in an affordable, naturally resplendent setting with plenty of available activities both on and off site. That community is, of course, Bear Creek – a 55+ community that is owned and managed by the award-winning developer Blair Group. Our gated community is located just minutes from the Atlantic Ocean and provides men and women ages 55 and older the opportunity to get the most they can out of their retirement savings in a secure residential environment. Contact the Lifestyle Team at Bear Creek if you think you might like to go on a complimentary tour of our splendid gated community in Ormond Beach, FL.